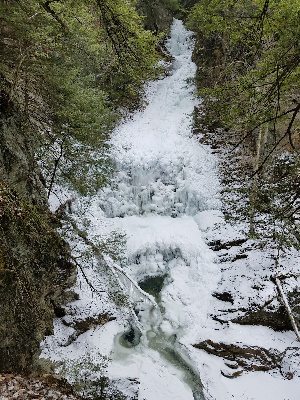 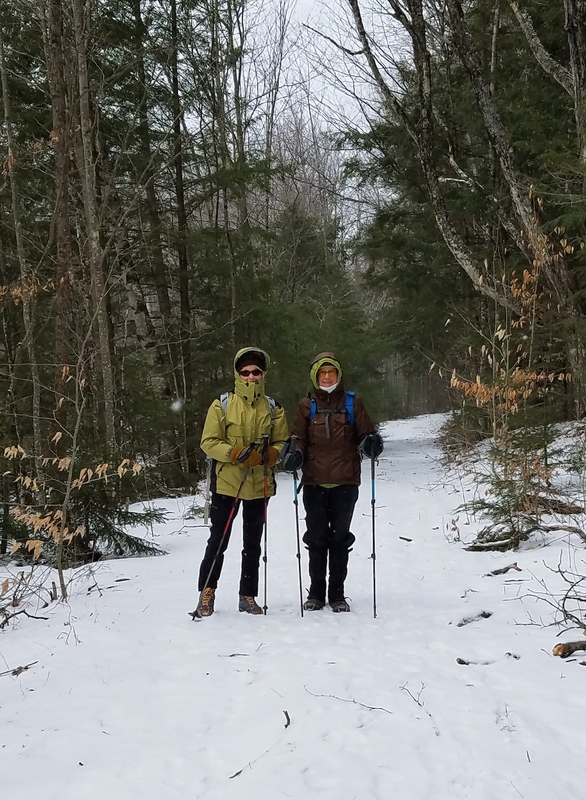 Our outing was scheduled to be a XC ski trip up to Smuggler's Notch, but icy conditions, strong winds, and a temperature of zero degrees caused a change of venue. 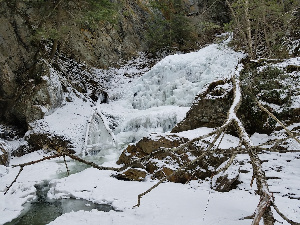 We parked at the Moss Glen Falls lot, saw the falls, then hiked the VAST trail for a couple of miles more, returning on the trail to the car. Total distance was just under 5 miles.